Today is World Water Day. No, not Earth Day. Water Day. These “holidays” seem to pop up once in awhile and then disappear without much fanfare. Google didn’t even give our most valuable resource a doodle on its homepage. To the casual observer these celebrations might seem trivial, perhaps even a waste of a time. But consider the facts. Between 2000 and 2015, over 1 billion people gained access to piped supplies of safe water. Extend the view back another decade to 1990, and you’ll see that over 2 billion of our fellow global citizens received access to improved sanitation facilities. These are at once impressive and ephemeral numbers, easy to both nod your head at in approval and then immediately forget. 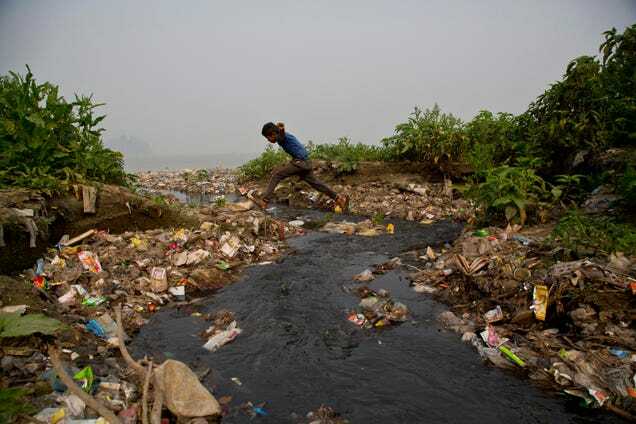 But consider that just afew years ago billions – say that again, billions – of people couldn’t be assured that their daily water wasn’t contaminated by human waste, or that their children would not suffer from extreme thirst or some water-borne disease. So despite days like these seeming kind of unnecessary, they’re actually quietly crucial. They’re part of the long and unglamorous work of keeping people informed and engaged, helping us chip away at our global problems. So to help, here are organizations and people working for our water. Have a look. And perhaps lend a hand. Generosity.org has funded 813 water projects in 20 countries, helping over 470,000 people get access to clean water. They have plans to expand to 1000 water projects, focusing on working with local partners to get the best results. Pure Water for the World is a smaller charity focusing on communities in Central America and the Caribbean. This organization partners with rural and underserved communities, where there are high incidences of waterborne diseases and a scarcity of aid. They focus not just on giving but providing essential tools and education to serve all community members. Drop of Water focuses on Ethiopia, where only 42% of the population has access to clean water, and only 21% of the population has access to adequate sanitation services. Hermella Woldehana founded Drop of Water after being inspired the work of Water.org. This new organisation has engaged more than 3000 volunteers to help initiate new campaigns and education on clean water and sanitation in her home country. Charity: Water commits that 100% of public donations received go directly to fund water projects and they’ve even openly audit this claim. With over 24,000 projects and 7 million people helped since 2006, Charity Water is one the biggest and most dynamic water organizations out there. Water.org is another big player. Co-founded by Matt Damon when WaterPartners merged with H2O Africa to form Water.org. Its microfinance-based WaterCredit Initiative is helping initiate sustainable giving in the sector. All Water.org projects are self-sustaining, working to implement structures so local communities can independently operate them. They score a very solid 96.85 on Charity Navigator’s rating system. Innovators are also doing their part. The WaterSeer looks like a groundwater well but instead of digging for water it uses the surrounding air to extract water from the atmosphere. Spinning blades send warm air down into the device and as the air cools, water vapor can be collected and pumped out. It’s being tested by the Peace Corps and could be revolutionary for areas in water crisis. Water defenders are also key to water security and access. Organizations like the Environmental Defense Fund work with businesses, government, and communities to better conserve their environments; American Rivers protects and restores rivers and works to conserves clean water for people and nature; the Sierra Club is the nation’s largest grassroots environmental organization with millions of members, working to push protections through various projects, legislation, and even legal action. With water scarcity and security issues expected to increase due to climate change, and with water pollution from plastics and other industries a continued threat, it’s more important than ever to be reminded of the issues and to shine a light on those doing something about it.